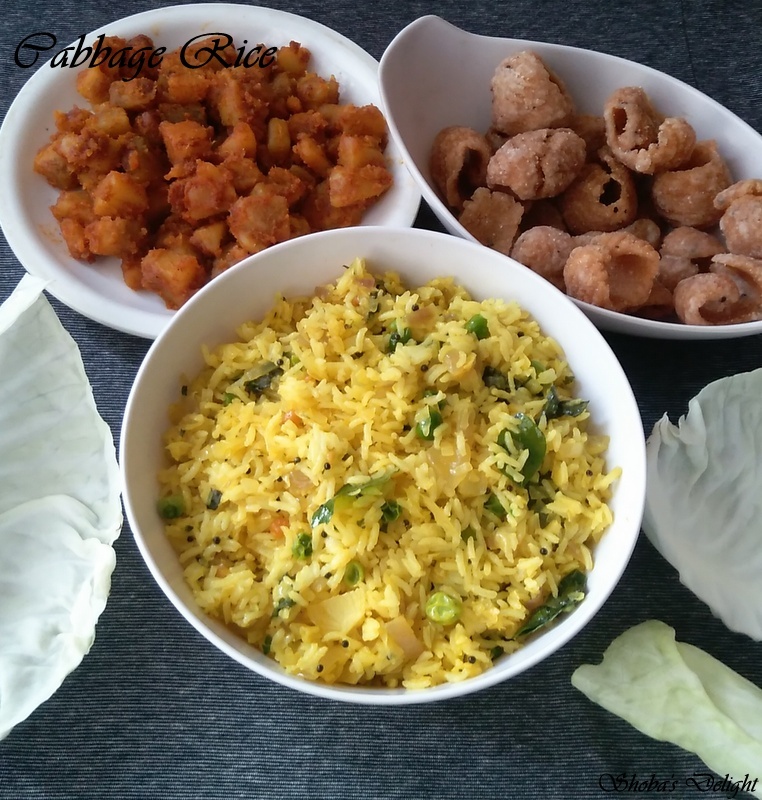 This is one other dish that I had made earlier, cabbage rice. It is a very flavorful and tasty one pot meal. Here is one that we enjoyed a lot. 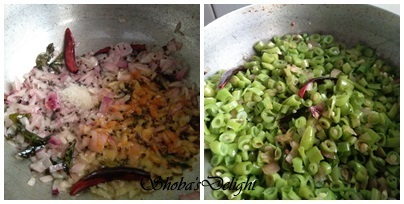 I was bored of simple stir fry, dal using cabbage. 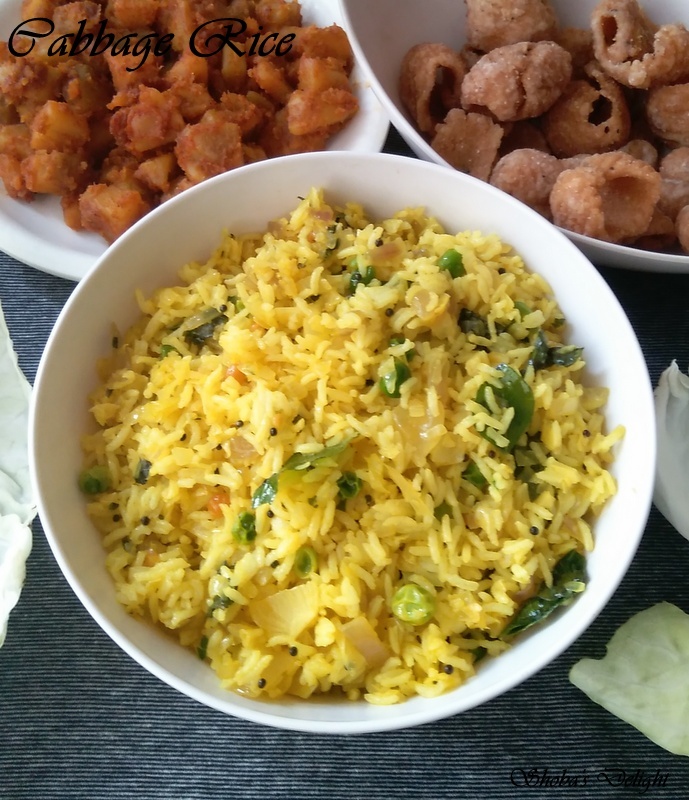 Vegetables like cabbage and cauliflower have earned a bad reputation because of the smell it emits while it is cooking, but unusually I have always liked both! 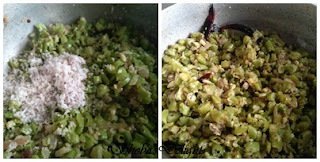 My grandmother used to add either cumin or ginger while cooking these vegetables to reduce the pungency to some extent. So if you are one among the cabbage haters, then you have got to try this rice recipe and I bet you'll develop a soft corner for the poor vegetable. 1. Cook rice such that each grain is separate. Keep it aside till it is cooled. 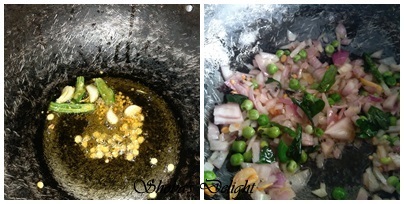 Heat Ghee/oil and add mustard seeds. When they start popping, add all the other ingredients followed by the onions. 2. Add the shredded cabbage, turmeric powder and salt. Sprinkle some water and close the lid. The cabbage will cook in about 5-7 minutes. Add some more water if the curry starts sticking to the pan.Add salt, 1/4 cup water (only if required, most cabbages leave lots of water while cooking, so be careful). 3. Cover and cook till cabbage is done. 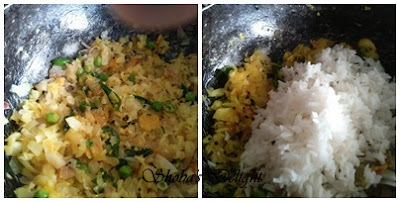 Now add the rice little by little to the cooked cabbage curry and mix it with the back of a spatula (my grandmother's tip, so that the rice will not break or become mushy). I have a big wooden fork, so I use that when I make mixed rice like this. Switch off the heat. Add cooked rice and mix well. · The ratio of rice to water will be 1:2 and ¼, but the same one whistle will be perfect. · Add cashews fried in little ghee to make it richer. 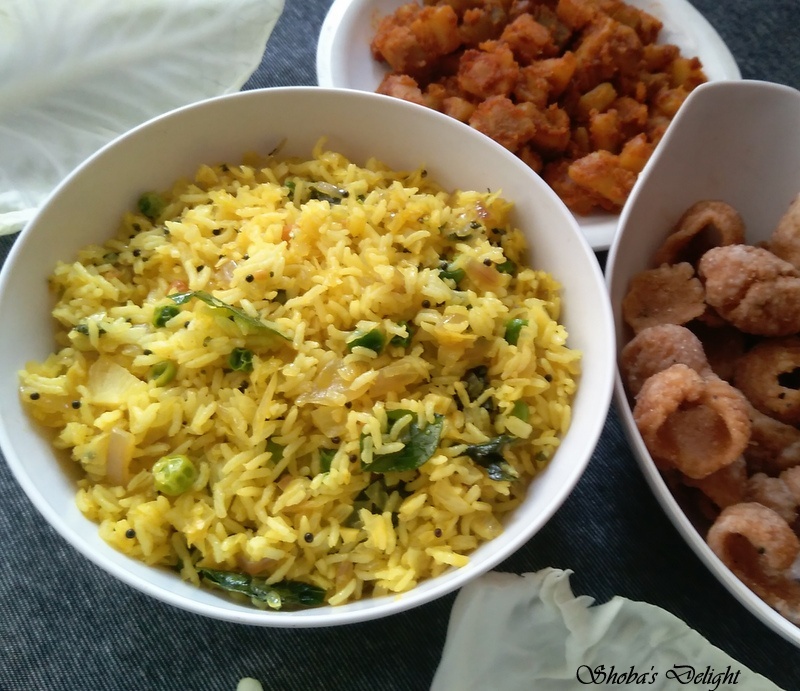 Thoran or is a typical Kerala recipe which is made of vegetables and coconut. 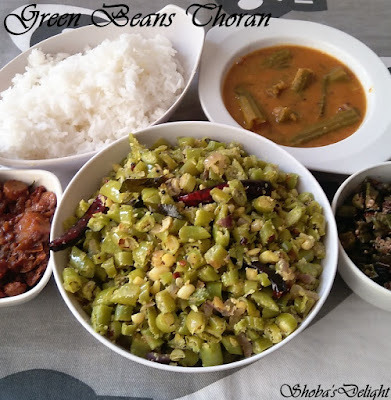 It is a beautiful comforting dish with coconut, garlic and green chilly. Thoran is a coconut based vegetable Keralite dish and can be also made with carrots, cabbage, green tomatoes or spinach. . It is a common accompaniment for rice which is very nourishing and tasty. Beans are steam cooked and mixed with grated coconut with very little spices. 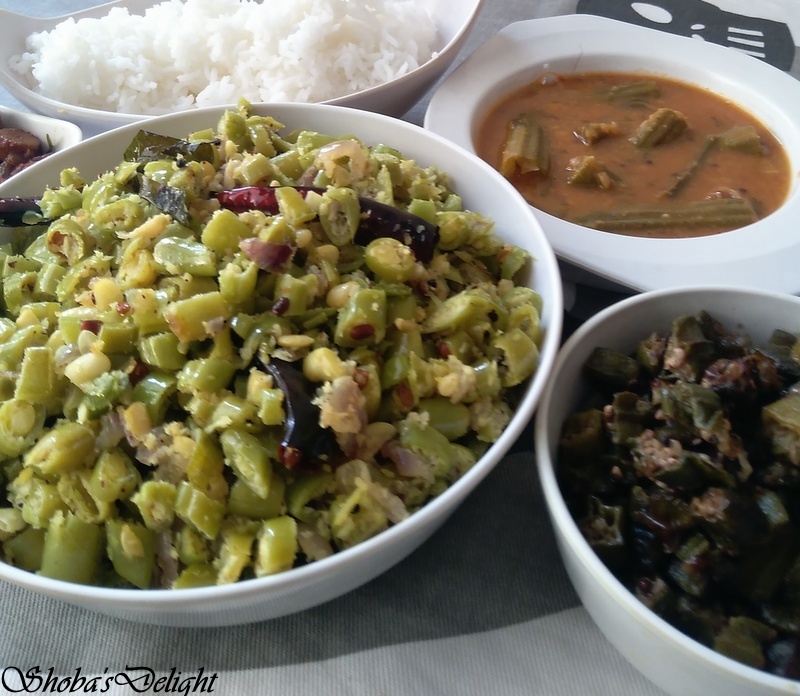 This popular and common dish, Kerala Beans stir fry is perfect with some steamed rice and phulka (flat bread). Amazingly light, and loaded with nutrition, this dish is rich in iron and antioxidants. Coconut Oil – 2 -3 tbsp. 1. 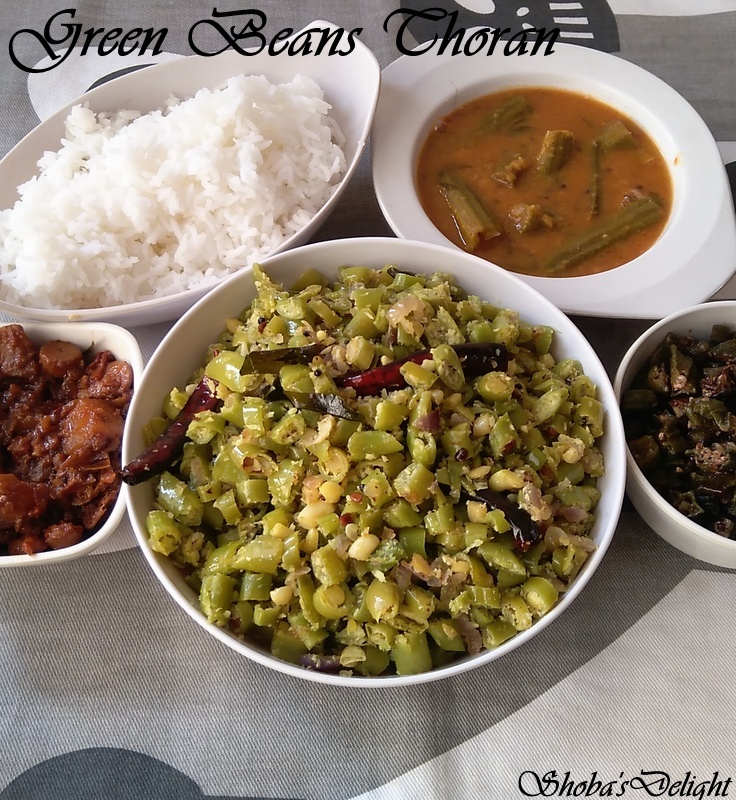 Chop the green beans into small pieces and keep it aside.Grind the coconut along with jeera and green chilly into a coarse mixture (pulse it for about 5 seconds.Cook the beans in the microwave for the required time and keep aside. 2. Heat coconut oil in a pan and splutter mustard seeds, curry leaves add the red chilly and fry it.Add the chopped onion, garlic and a little salt ; sauté it until soft.Add the green beans and sauté it for a minute. Stir it in a frequent interval to avoid sticking in the pan. If it is too dry sprinkle some water. 3. Once the green beans is done (don’t overcook the it) add the coconut mixture in the center and close it about 1 minute. 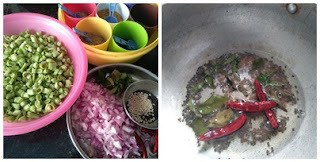 Then add salt and mix everything very well.Enjoy the thoran with your family. Never add water while making any thoran. The vegetables contain water which is more than enough for cooking. More Coconut and coconut oil will give the dish more taste. I have used a little less coconut considering my family. Curry leaves can be added at last for the aroma of the thoran. 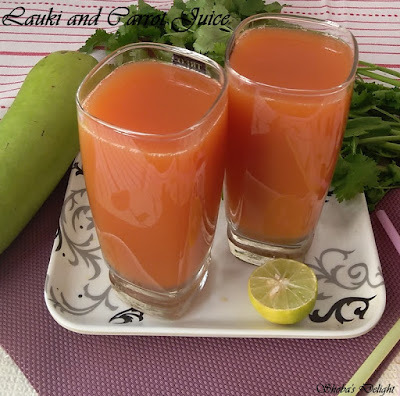 The Lauki Juice is the best early morning drink to help detox. You can consume bottle gourd in juice form. Bottle gourd is an excellent food with loads of nutritional value. 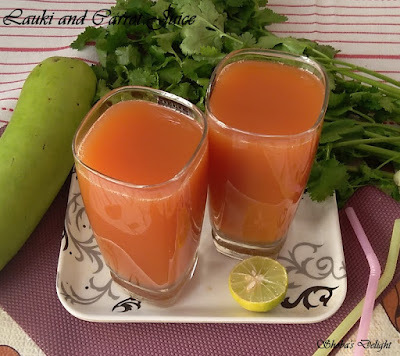 Drinking bottle gourd juice with salt keeps one refreshed and cool during summer. . It has several other names in India and around the world -ghiya, doodhi, lauki, white gourd, bottle squash, calabash gourd etc. When carrots are cooked, all the nutrients are lost. Start with a little fat and a little liquid, along with whatever seasonings you choose… Lauki carrot juice is an especially nice liquid to begin with, because the reducing process concentrates both its sweetness and its acidity. (A little lemon juice at the end adds the perfect balance.) .The secret is in the carrots and are sweeter than other varieties and really balance out the earthiness of the bottle gourd while the ginger adds a hint of spice. Bottle gourd provides good amount of both soluble and insoluble fibre and water. It is very helpful during summers and specially those who work under the hot sun as it has the ability to prevent heat strokes and recovers the water lost due to perspiration. Bottle gourd is also beneficial in conditions like jaundice and inflammation of kidneys.This recipe is a powerhouse of antioxidants, high fiber, and great anti-inflammatory food. It’s not only nutritious but also delicious. This stuck me up to make this juice recipe with 2 ingredients. Try this new juicing recipe "Lauki - Carrot Juice" made from fresh veggies such as carrots, lauki and ginger. 1. Take a bottle gourd, wash it thoroughly and peel the outer cover. Scoop out the seeds parts from the center of the gourd.Cut the remaining pulpy part of Bottle gourd in to pieces. 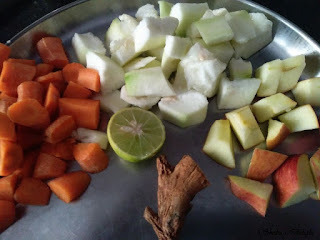 Now take carrot and chop into small pieces and cut two slices of apple and keep aside.Pluck few coriander leaves and take seasame oil in a bowl mixed with salt. 2. Sesame oil when mixed with bottle gourd juice helps to cure problems of insomnia. Blend all the ingredients until smooth, adding some water to make a fine consistency. Remove the juice and strain it in a strainer. Adjust the salt and consume as soon as possible. You can use a juicer to extract the juice from the carrots and gourd, but the pulp value is lost and you will have to use a lot more of the gourd and carrot to get the desired quantity.